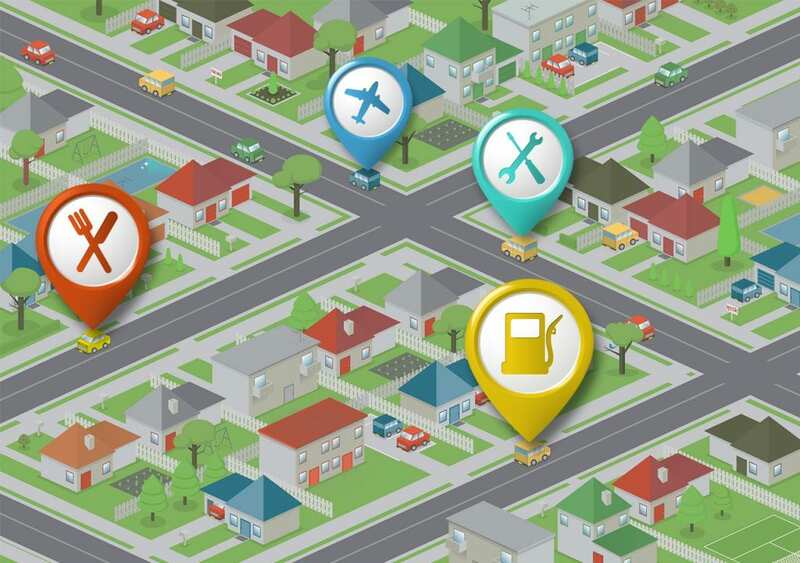 If you are among those parents who always worry about their children and searching for some tools to know about their real-time location, then you are on the right site. If you are among those partners who constantly want to keep eyes on their spouse, then this article is for you. This article is all about to track GPS iPhone location and gives you alert whenever your loved one is in trouble. Apart from this, the policemen also need to hack the GPS location of criminals’ device to stop their illegal activities. If you are the owner of any company, then it helps you to keep eye on your employees and retain their talent. In this article, we are going to discuss different modes of hacking GPS location with advanced technologies, without letting them recognize. The Truth Spy is a favourably useful app to track your friends and families location just by sitting at your home. Apart from hacking GPS location iPhone, it also hacks various kinds of crucial information on the spotted device which you required at your fingertips. Once you install the app on your device, you can delete the icon and make it run in covert mode. Let’s learn in the following steps how to track GPS location iPhone using The Truth Spy. First, visit the website of The Truth Spy and create your account on it by providing user id and entering protective passwords. Next, get access the spotted device (jailbroken only) and set up the Cydia app. In order to install the app on the spotted iOS device, all you need to do is to follow the easy guideline. Thereafter just set up the app and sign in the account using the previously given login details. Next, complete its setup by granting the required permission. Now you need to visit its website and log in again with the same credentials for using its web-based dashboard. Under dashboard, you will get all the essential details of the spotted device under Explore device section which reflects on the left panel of the screen with the features like GPS history, Call history, SMS history etc. To track the GPS location iPhone, click on the GPS history and collect the last detail of the spotted device. Apart from above-discussed features, the Truth Spy has the special characteristic of listening to a real-time recording of the spotted device which is not available with other apps. But this app can only be used on jailbroken devices, and if you have it already doesn’t wait anymore and buy it at a reasonable price and start tracking GPS location of your loved ones. AppSpy is a unique software application to track GPS location iPhone secretly. Through this app, you can track the GPS location, call logs, social media updates and many more. Similar to The Truth Spy, this app is only accessible on jailbroken devices. You can use this app for all above-mentioned application in some easy steps. First, go to the website of AppSpy and create your account by providing user id and password. To get it activate, you just need to buy its premium plan. Next, download the app on the spotted device using Cydia or any other tool and complete its installation. Once the installation gets completed, login to your previously created account using same credentials on the same. Now, you can delete the app icon and let it run in covert mode. Next, go to the web-based dashboard of AppSpy for getting all the essential information of the spotted device. On the left panel of the screen, under the dashboard, you will find several options to hack calls, messages, location, media etc. To hack the GPS location iPhone, you need to click on the “Location” feature. And to enjoy its benefits, must buy and spy professionally and personally. If you are looking for an alternative way to track the GPS location iPhone, then PhoneSpying app is here. This is the most widely used app these days with its advanced features. Along with GPS tracking, it can also execute geo-fencing on the spotted device. To track the GPS location iPhone and to view other important details of the spotted device by using this app, all you need to do is to follow the given steps carefully. Next, download the PhoneSpying app on the spotted device. Thereafter go to settings then security and enable the download option from unauthorized sources. Complete the installation once the app gets downloaded and finish the setup process. Now, swipe off its icon and let the device run in covert mode. Thereafter you need to login to your previously created account to monitor the spotted device. And finally, go to its dashboard reflects in the left panel of the screen and choose the “Location” feature to hack the GPS location iPhone. The PhoneSpying offers seven days free trial version to the users in which you can access its full version without any limitations. To continue the service, only you need to purchase its premium plan within seven days. GuestSpy app is one of the most popular spy software using which you can track the GPS location iPhone without allowing them to recognize. This app is also used to track call logs, messages, real-time locations, media files as well as other social Apps such as Snapchat, WhatsApp, Instagram, Tinder and many more. In the beginning, you can explore its features by using its free trial version. Thereafter you need to buy its subscription as per your taste and budget to keep enjoying its service. So overall this app makes you aware of your friends and families. Let’s learn in following steps how to track GPS location iPhone using GuestSpy. First, go to the website of GuestSpy and create your account on it by providing your user id and password. Next, go to the GuestSpy Setup Wizard and feed the essential details of the spotted Android device and complete the setup process to proceed further. Now unlock the phone which you want to track and install the GuestSpy App on it by visiting settings and then security and enables the feature of App downloading from unauthorized references. Thereafter visit the website of GuestSpy using any browser of the device and installed the app once its downloading completed. After its installation, login into your account with the same credentials which you have created earlier on GuestSpy. Must enable the “Start Monitoring” App after its setting. And clear its icon from the device and let this app run in covert mode. Finally, you can remotely hack the GPS location of the spotted device by logging in the website of GuestSpy and using its dashboard. In this dashboard, view the left panel and you will get all the crucial information of the device that you need at your fingertips. Also to view the social media activity on other’s device, do not forget to enable the “Feature Status” option. In this GuestSpy app, unlike others, you should not need to have only a jailbroken device. Also, this app has the compatibility with every version of iOS and Android. This app is most trusted as well as secured one and preferred by millions of users. Now you can use any of the apps mentioned in this article to track the location of your loved ones and get peace of mind by staying informed. We hope you must like this article and will take the advantage of these apps. For all the latest updates keep visiting our website regularly and must share your feedback with us. We will soon come with such more articles. 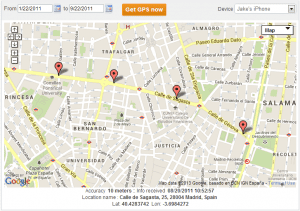 Get the best 4 Ways to track GPS Location on iPhone. In this article, we are going to discuss different modes of hacking GPS location with advanced technologies, without letting them recognize. The best way to avoid a psychological breakdown after experiencing or having to deal with infidelity is to make sure you are not just assuming your partner is cheating, as a policy , don’t say they are cheating until you have gathered proof of their act, confrontation without evidence is just unacceptable, i contacted richardcollins8986@gmail.com when i was in the eye of the storm with my Ex husband I saw all his mails, whatsapp messages, kik, facebook and even pictures he exchanged with her lover, but it was easier at the end really, having proof helps alot. you never going to regret working with him. I suggest you should contact him if you ever need to get in touch with a professional hacker and get your jobs done. What is actually the best way to tap your spouse’s mobile phone? This is a common question of people who think that their spouses are cheating on them. Many of us experienced the feeling of being suspicious. But it’s not a problem anymore! Tap cell phone, and you’ll get the opportunity to dispel all doubts and be sure about your spouse’s honesty. You can also contact him on CHARLESCYBERWIZ @ GMAIL .COM He’s the only trusted hacker OUT THERE!! to the lady he was cheating with who was also married . Basically, In our relationships individually we have various things we are really worried about. We are worreid aout if our spouses are being truthful, If they are cheating or what they could be up to. In most of these situations its best to take a bold step to consult a professional hacker who can get you access into your spouse phone.This will reveal all the truths going on in your relationship and also help you secure the future of you and your kids. Hacking a mobile phone is usually something that requires hiring an expert to get it done for you to get your desired result. These mobile hacks actually work fine but most people have problems using it because bulk of the job is done and highly dependent on the hacker. In most cases, the only way you can get it done yourself is if you really know how to hack. Otherwise, your best bet will be to hire a professional hacker, and I recommend – CYBERFREEDOMICT (at)gmaill) (dot) ((com)), I have used his service and he is highly professional and very affordable compared to the kind of result I got . I highly commend this team for their smart work and professionalism. How to hack my wife phone was not really what I wanted at first but it didn’t really matter because I needed to know what I was in the dark for. She goes out and comes not caring for the only kid I never knew the boss was all over the place . What do I do with all of that in my hand . Easytracker247@gmail. com still told me that the only thing I have to keep as a secret is the fact that I hacked her phone . I am sure you gonna try Cyberclick51@gmail.com for all hack or internet activity without physical access to the targeted phone contact him he helped me already that’s why i can recommend him to the world thank you CYBERCLICK51@GMAIL.COM you the world helper. Spyway44@gmail. com still told me that the only thing I have to keep as a secret is the fact that I hacked her phone . I was introduced to nosecretspy team because I really wanted to know how sincerely my wife is I can’t believe within just 2 hours I started receiving my wife social media message and calls right on my phone without her detecting..
My husbands infidelities killed me slowly deep inside, to be certain i got spymasterpro3x a t G mail d o t com google email contact from a recommendation on this online forum and has since then helped me get enough evidence to prove my husband’s infidelity, I found out my husband has been hooking up with his ex. S P Y M A S T E R P R O 3 X A T G E E M A I L D O T C O M a cyber pro hacker who didn’t even need to have physical access with my husbands phone, but was able to provide me all of my husbands filthy conversations and also all of his deleted messages. In marriage or relationship, I don’t think there should be any kind of secret or privacy from the partner. I don’t think is nice to be keeping your phone to yourself and it’s been locked with a password that is not known by your partner. After 5years of my marriage, i discovered that the woman i love so much started acting suspicious and suddenly changed her password that she has been using and always keeping her phone to herself. She is always on calls and getting her phone off. She even started asking funny questions like “Why do you need to see my phone, don’t you trust me” ? I told my best friend about it and he told me about a particular hacker. I contacted him through his email: DIGITALCRACKBASE@ GMAIL . COM. I was so amazed with his work & within 3hrs my job was ready for monitoring and i was really surprised because i never really thought it is possible to monitor someone’s phone without having access to the device﻿. Hacking just got better and easier. Contact DIGITALCRACKBASE @GMAIL .COM for all forms of hacking such as phone hacking, social media accounts hacking, bank accounts hacking, university database hacking to change school grades, clearing of criminal records, sales of spyware and keyloggers and lots more. Contact him now to get all done within few hours at affordable prices. I’m very sure you gonna thank me later. At soft tech geeks we do not ask questions only get the job done. With soft tech geeks hacking just got easier and cheaper. +12177173177 still told me that the only thing I have to keep as a secret is the fact that I hacked her phone . He told me there is a refund policy if I found any of their services unsatisfactory. There was no need for refund because I was satisfied with all the levels of services delivered. I had access to everything ranging from the call records, messages, all social media apps and accounts on the phone, gallery and emails. After much failed attempts to spy on my husband whom I suspected has been cheating on me, thankfully I got a recommended email which I contacted, They are so reliable, they work with discretion and deliver in a bit, they do all sort of hacking (unrestricted and unnoticeable access to your partner’s phone and PC) . I would prefer to let their services speak for itself. you can contact them on this email and you’d be glad you did. do not let your lecturers frustrate your future. Be warned most of these so called hackers are imposters, I have been ripped off twice already, thankfully my friend gave me a reliable contact, they work with discretion and deliver, they do all sort of hackings, (unrestricted and unniticeable access to your partner/spouse phone and PC). i will prefer to let their serivices speak for itself. you can contact them through their mail account HACKMASTER1702 AT GMAIL DOT COm . (9313131702) they will also help you to hack and change university grades. that easy…. 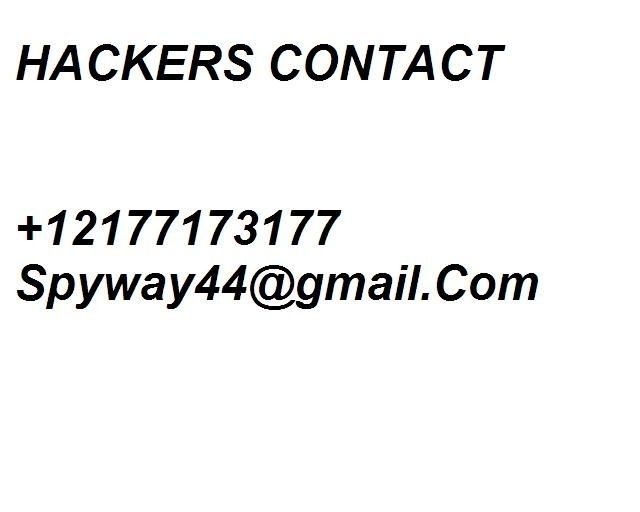 If you need to hack or spy on anyone here the best digital forensic technicians you need contact them on easytracker419@gmail. com..(cellphones, tablets, laptops, etc.) for spyware, malware and tracking devices. They can remove the offending software, can boost your credit score etc..
you can contact them for a professional hacking job. This has been a great experience for me, well i have a more practical and reasonably less stressful way of keeping a healthy relationship, its Trust, once i hired an hacker REDEMPTIONHACKERSCREW, he accessed my wife’s phone and extracted her emails, social media messages including, facebook and whatsapp messages, turned out she had been lying since lord knows when, REDEMPTIONHACKERSCREW AT GMAIL DOT COM even provided more evidence than i could handle, she denied it and now we are apart, it broke my heart to see her cheating in what i tried to make a strong relationship. DON’T BE TOO CONFIDENT ABOUT YOUR PARTNER,GET TO KNOW MORE ABOUT HIM/HER.IT WILL DO YOU MORE GOOD. DIGITALCRACKBASE @ gmail. Com ……..
DIGITALCRACKBASE @ gmail com ……. I can’t find words to thank you Guy’s. You have saved me from a marriage that would have ruined my life . If you need the service of a reputable ethical hackers with long term experience who are professionals, they carry out the following hack job: phone,Snapchat account,Whatsapp,Email, Twitter account Facebook, Instagram and other social networking site Changes of university grades. they are professionals in every service, Am not exaggerating they didn’t ask me for my personal information and their hack is carried out within 4hours. HELLO EVERYONE,I WAS GOING THROUGH A DIVORCE AND I NEEDED EVIDENCE TO BE ABLE TO WIN CUSTODY OVER MY CHILD, I TRIED 2 HACKERS WHO FAILED ME TILL I WAS ABLE TO FIND A REAL PROFESSIONAL WHO HELPED ME GET ACCESS TO MY HUSBANDS PHONE REMOTELY WITHOUT HAVING ACCESS TO IT. CONTACT Easytracker247 (AT) GMAI|. COM FOR SPYING AND HACKING PHONES, COMPUTER, EMAIL, FACEBOOK, WHATSAPP AND OTHER SOCIAL NETWORK ACCOUNTS, CANCEL PHONE TAPPING, CHANGE YOUR GRADES OR BOOST YOUR CREDIT SCORE, HIS SERVICES ARE EFFIECIENT AND RELIABLE. If you don’t try you can’t get what you want, I tried Easytracker419@gmail.com to hack my husband snapchat and his text messages because he loves chatting in hidden place, but with work of Easytracker419@gmail.com who helped me in hacking my cheating husband phone, I can spy on all his messages and calls right from my personal phone anywhere and anytime. If you need a professional hacker for various hacking services, i strongly recommend EBOYLES12 (@gmail.com) they render a very good service and they are very good at hacking various things, Facebook, , twitter, calls, emails, websites, social medias and many more. i have used this service before so i vouch for them. spyway did a job I didn’t texpect to get it on time . it was so good to have that guys contact on my phone. I he’d only one thing left. To clear my name or to go to jail . Honestly it would have been something serious without him on the list . AUTOMICHACKERSCREW is widely regarded as the best hacking organization online,we are specialized in all kind of hacking services, granting access to any database no matter the security. For your quality hacking jobs, please contact us and we assure you of the best. How to hack my hussy phone was not really what I wanted at first but it didn’t really matter because I needed to know what I was in the dark for. he goes out and comes not caring for the only kid I never knew the boss was all over the place . RODHACK003@gmail. com still told me that the only thing I have to keep as a secret is the fact that I hacked her phone . 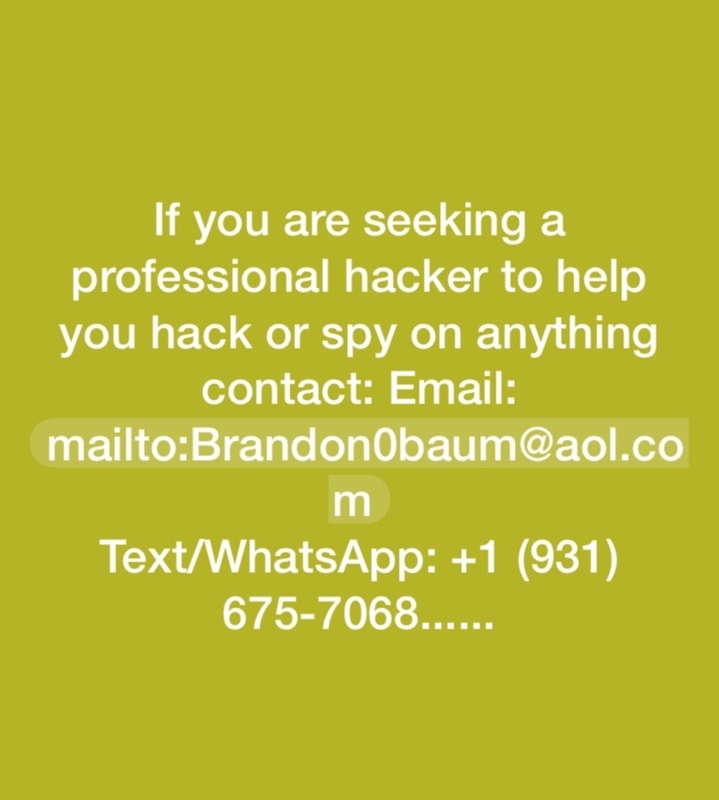 contact oneofonehack at g mail dot com if youy need help n hacking related issues,hes an expert and help me found solution to my infidelity and helped hacked my ex phone remotely without her consent.let him know Paul referred you. So I decided I gave it a try, in less than 8hours all her activities were sent to me confirming her infidelity. Thanks to this ANNONYMOXTeam . The best way to avoid a psychological breakdown after experiencing or having to deal with infidelity is to make sure you are not just assuming your partner is cheating, don’t say they are cheating until you have gathered proof of their act, confrontation without evidence is just unacceptable, i contacted RODHACK003 when i was in the eye of the storm with my now Ex wife, i saw all her mails, whatsapp messages, kik and even pictures she exchanged with her lover, but it was easier at the end really, having proof helps alot. He is smart and his art is hacking .. I don’t know if this could help anyone rather than just keeping hands on a random hacker . I had contacted him sometimea ago and he was only to tell me that all I was requesting for could only be gotten Inna certain way , then I left him to contact another hacker who told me it was simple only for him to later tell me something happened during the work . After 24hours i began to get alert on my phones as the target receives it too . contact them via email at perfecthacksolution@gmail .com or call them on +1 612 900 0407 ….. If you don’t try you can’t get what you want, I tried Easytracker099@gmail. com to hack my husband snapchat and his text messages because he loves chatting in hidden place, but with work of Easytracker099@gmail. com who helped me in hacking my cheating husband phone, I can spy on all his messages and calls right from my personal phone anywhere and anytime. After several gossip and arguments between me and my husband, all thanks to this great hacker (hackdon101@GMAIL. COM).. who finally hack my husband cell phone and link his social media account with min..
H ey there….. To get the very best hacker to assist you here I present to you CYBERARON17 via Gmail, I have been burnt many times here trying to find the together hacker to help me get information from my husband phone, am really glad to a friend that introduced to this great hacker to me, his very fast, honest and reliable, his very easy to get along with, if you can try CYBERARON17 AT GMAIL I believe you will be glad with his service. Hello all users on here….. The only help I got when am on this kind of issue was when I contact CYBERARON17 via Gmail, after getting scammed many times trying to find who will helped me out, I gave up for sometime since I can’t get the right hacker on this site, after when am about to lost my family and my family is about to tear apart and I need to know what is really going on in my husband whereabouts thanks to a friend that linked me up with CYBERARON17 his very good at his job and he will go any length to get the real fatal information you need to get about yourself cheating spouse, thanks to CYBERARON17@gmail.com he helped me out and now o hot jy family back and we are all happy together, you can contact him todayhis very fast, honest and very reliable for any kinds of spying on any cheating partners.